The California Naturalist Program gives a warm welcome to Sarah-Mae Nelson, our newest CalNat team member! 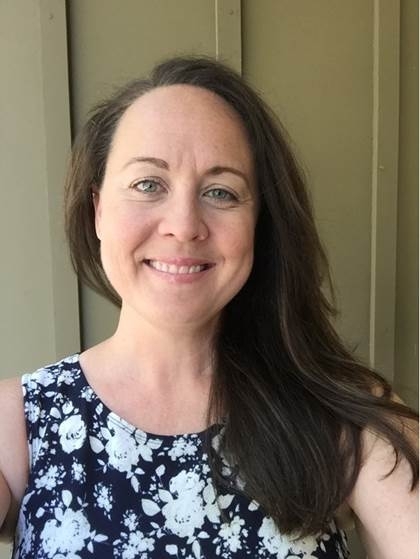 Sarah-Mae recently joined the UC Agriculture & Natural Resources California Naturalist statewide program as the Academic Coordinator focusing on our new Climate Stewards Initiative. As an educator, science communicator, and climate change interpreter, she will lead the California Naturalist program's efforts to incorporate climate science and climate change communication techniques into existing courses while developing a full climate stewards course which will be gradually rolled out to existing partners. Prior to joining the California Naturalist program, Sarah-Mae completed her M.S. in Climate Science and Policy from Scripps Institution of Oceanography, UC San Diego. She earned her B.S. in Marine Biology from UC Santa Cruz. Her master's capstone project was the development of an interdisciplinary undergraduate Climate Change Studies minor for the university, which was recently adopted. From 2002-2017, she worked for the Monterey Bay Aquarium, most recently as Conservation Interpreter and Online Community Manager for ClimateInterpreter.org. Sarah-Mae is an active member of the National Network for Ocean and Climate Change Interpretation (NNOCCI), sitting on one of the leadership committees. In 2015, she was recognized as a White House Champion of Change in Climate Education and Literacy for helping to increase science-based understanding and awareness on climate change. Sarah-Mae's office is at the UCCE Elkus Ranch Environmental Education Center in San Mateo County.